Let's examine a math equation. What do you get when you add classical piano + hip hop + anti-folk + rock and roll? One amazing performance by musician Regina Spektor! Spektor’s style combines all of these musical elements plus many more to create a distinct genre and compositions all of her own. She started her career in 2001 performing in downtown New York City and at local colleges. Her style and self-published CDs that she sold at her performances made her stand out among her contemporaries. As her popularity grew, Spektor was asked to open for The Strokes on their tour in 2003-2004. On this tour she performed to packed audiences at arenas all over the country, including Madison Square Garden. This influenced Kings of Leon to ask her to open for them on their European tour in 2004, which lead to signing a recording contract with Warner Brothers’ recoding label Sire Records. Seven albums and numerous tours later, Spektor continues to push musical boundaries. What is most unique about Spektor is her style, or rather her combination of styles. While her earliest musical influences are classical, she also remembers her father playing rock and roll music for her as she grew up. In her college years she was exposed to punk, hip-hop, and jazz, and incorporates those sounds into her music now. She says she is also influenced by the music of her heritage, such as Russian composers Vladimir Vysotsky and Bulat Okudzhava. A term used to define her music is "anti-folk," a musical genre that borrows sounds and ideas from the 1960s folk style but deliberately try to “break” the rules of the genre. She also branched out to other instruments to play her beautifully composed songs on, such as the guitar. Spektor says that most of her songs are not about her actual life, but scenarios and characters in her imagination. "It doesn't feel natural for me to write some diary type song,” said Spektor in an interview for Rolling Stones. “I want to write a classic like ‘Yesterday’ but weird songs about meatballs in refrigerators come into my head – I can't help it." Spektor’s style is definitely unique. She has been recognized for her style and song-writing skills; she has won a BMI Streaming Media Award for her song “You’ve Got Time” in 2015. Along with awards, Spektor’s songs have been recognized through television appearances. “You’ve Got Time” is famously known as the theme song to the famous Netflix series Orange Is The New Black. Many of her other songs have been used in commercials, TV shows, and films, including Grey’s Anatomy, CSI: NY, Criminal Minds, How I Met Your Mother, Weeds, 27 Dresses, My Sister’s Keeper, and (500) Days of Summer. 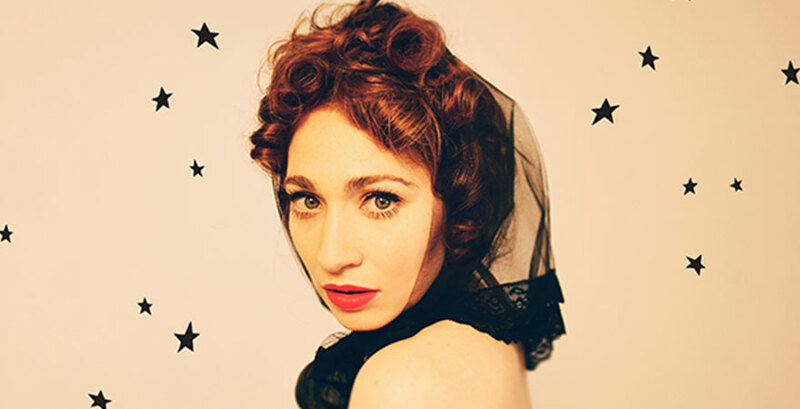 You won’t want to miss Regina Spektor’s beautiful music and original style at State Theatre New Jersey on November 13, 2017!